EZReg® Pressure Regulating System. 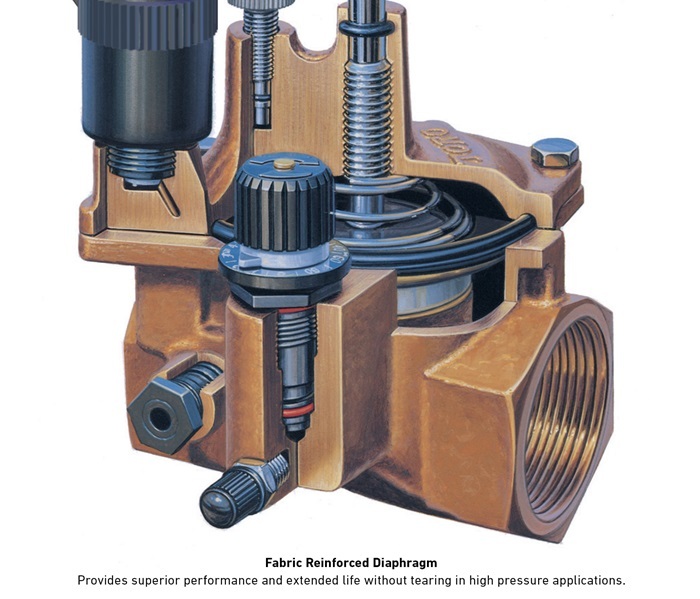 Can be adjusted from 5-100 psi (0,3-6,9 Bar) to provide the optimum operating pressure for every zone. Spike Guard™ Solenoid. With 20,000 volt lightning rating, it virtually eliminates the need for solenoid replacements. And with half the amperage draw of traditional solenoids you can run twice as many valves simultaneously, reduce the cost of wire during installation or increase the distance from controller to valve. Internal Manual Bleed. Ensures the optimum pressure of the system even when being operated manually. Self Flushing And Serviceable Filter. 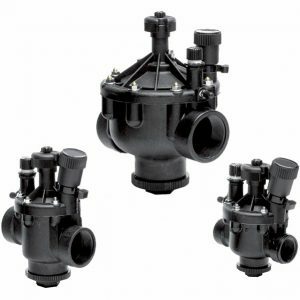 A 120 mesh stainless steel screen in the flow of water is continually being cleaned any time the valve is in operation. 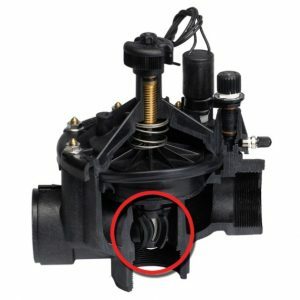 Serviceable from the side of the valve the fi lter can be removed without disassembly. 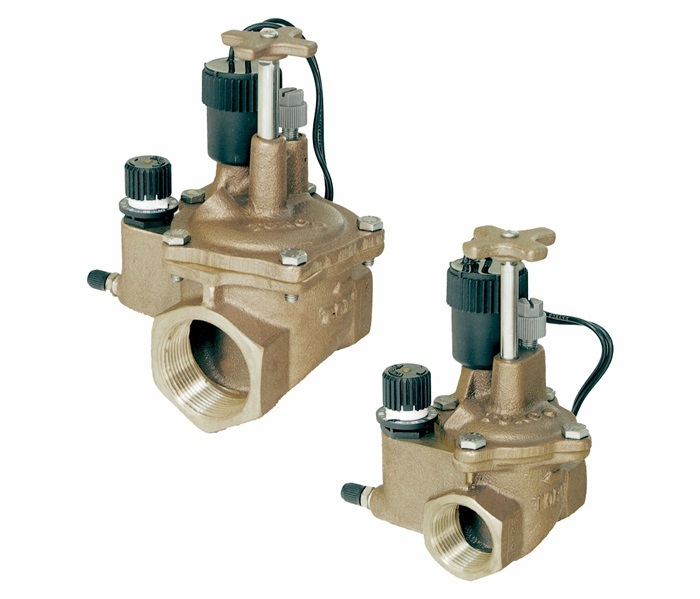 The 220G Brass Series valves that provide extra durability in the most challenging environments on the course. With precise pressure regulation the optimum operating pressure and exact flow requirements are delivered to every sprinkler ensuring maximum efficiency and uniformity.